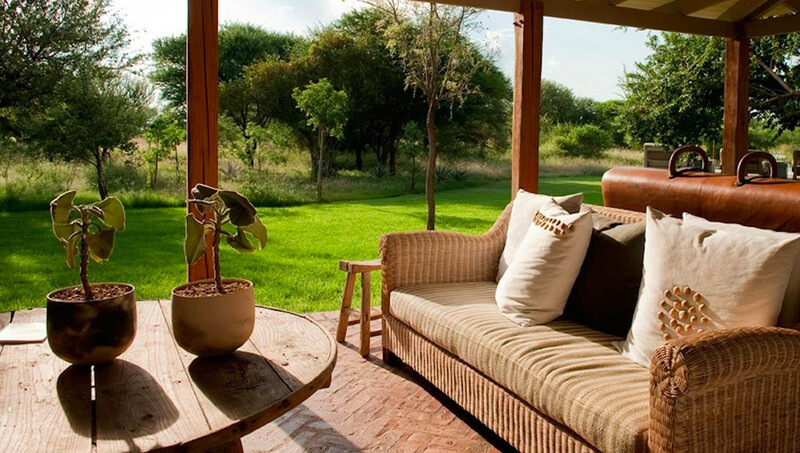 Home on the African range. Fabulous farmhouse, your family reunion will never look the same, again. This five-suite Farm House is "an oasis, surrounded by luscious green lawns, and set within a 100-hectare fenced-in safe area which is home to general game, so kids can play and roam at will, and guests may have the freedom to walk and explore." Group getaway, milestone birthday or amazing anniversary, it's Africa in a whole new light. 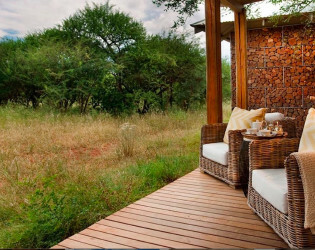 A safari-chic take on the traditional African farm homestead, offering the perfect private setting for families and larger groups. 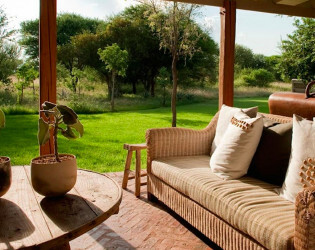 Located on the other side of the mountain within the Morukuru property, the five-suite Farm House is an oasis, surrounded by luscious green lawns, and set within a 100-hectare fenced-in safe area which is home to general game, so kids can play and roam at will, and guests may have the freedom to walk and explore. 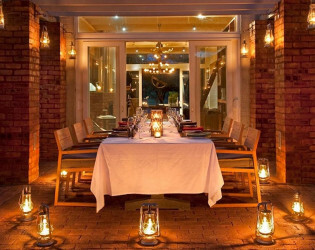 Furnished by well-known South African interior designer, Sumari Krige, the Farm House is unpretentious yet stylish, with bespoke items produced by local artists and craftsmen in a neutral palette. Following the owners’ brief to create spaces where families with children of all ages can completely relax, the overall sense is kick-off-shoes and curl-up-on-the-couch comfort. 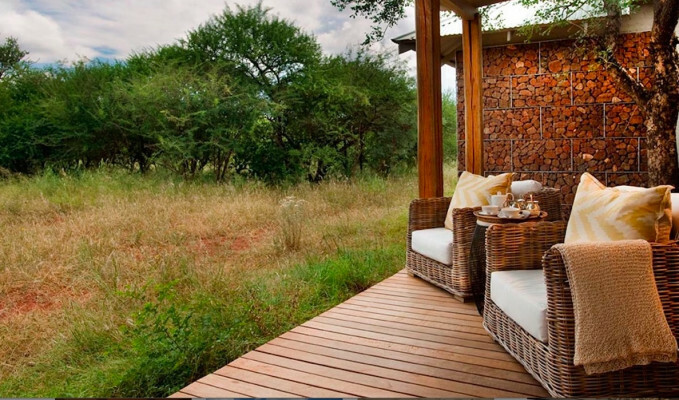 The five huge en-suite bedrooms – linked to the main area by a covered walkway – are all equally luxurious, because Morukuru believes that a family holiday should be special for every family member. 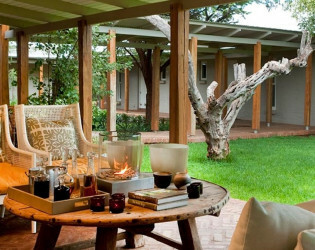 If you love bush, space and South African surroundings. Morukuru Farm House is the place to be. Multi generation travel, families and groups of friends, of all ages, have already found their way to our Farm House, and celebrated live to the fullest. 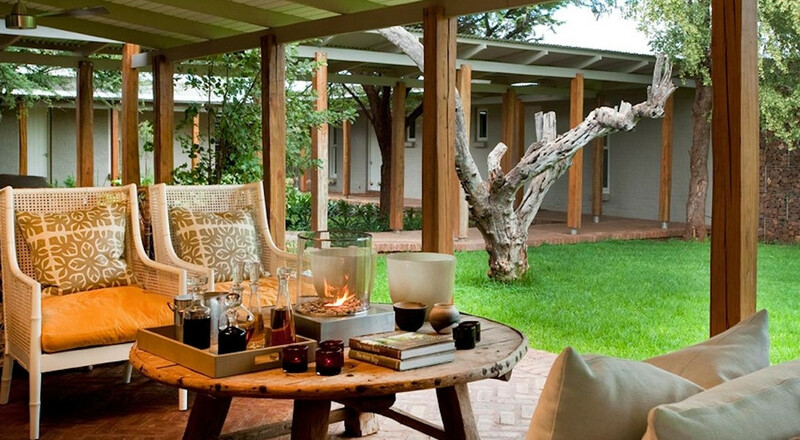 Anniversaries, birthdays or, most important, spending quality time together, this exclusive use House is sublime. Your private staff will look after every single wish. They are highly skilled and are trained regularly, so they can give you the best. 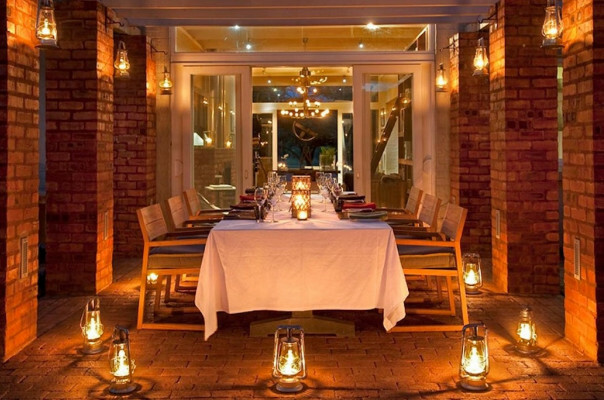 Farm House is also the prefect home for celebrations with large groups of friends getting together in the featured bar area. Morukuru Farm House offers 5 bedrooms en-suite and can only be booked on exclusive use basis, including all meals, drinks and activities. Also included are an open private safari vehicle, private guide, tracker, chef, butler and general housekeeping staff.